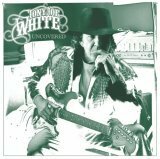 Tony Joe White is the very definition of a songwriter’s songwriter. Over the course of his 40-year career, artists from Tom Waits to J.J. Cale have sung his praises. Yet, the mainstream public largely has remained oblivious to his accomplishments. More recently, he has been taking steps toward elevating his profile. His 2004 outing The Heroines boasted an all-star, supporting cast, and his latest endeavor Uncovered — which features appearances by Mark Knopfler, Waylon Jennings, Michael McDonald, and Eric Clapton — follows suit. In spite of the marketing muscle that White’s collaborators bring to Uncovered, however, the results aren’t any more accessible than his usual forays. The music simmers, but it also is murky. Likewise, White’s vocals undeniably remain an acquired taste. In other words, his talent as a songwriter, once again, outmaneuvers his ability to connect with a wider audience through his performances. With patience and time, though, Uncovered eventually does reveal its seductive charms. For the record, none of the guests on Uncovered do much to raise a ruckus, let alone steal the show. Instead, they spar with White in a subdued fashion by matching his gruff whisper with their own understated tones and by layering a tangle of guitars on top of the repetitive, hypnotic rhythms. Only Wayne Jackson’s horn arrangements and the spiritual soulfulness inherent in Carson Whitsett’s Hammond B3 organ accompaniments succeed in illuminating the swirling darkness that pervades the affair. Scattered amidst the newer selections are a handful of refurbished compositions — Taking the Midnight Train, Did Somebody Make a Fool Out of You, and Rainy Night in Georgia, and in the end, Uncovered contains more than enough ghosts and grit to go around. Uncovered is available from Barnes & Noble.